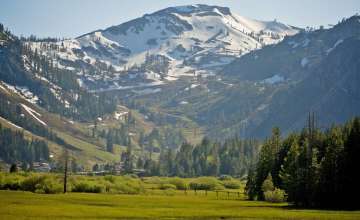 Squaw Valley, located about 8 miles from Tahoe City, is best known for being home to one of the greatest skiing venues in the United States. It was the site of the 1960 Winter Olympics, and home base for a long line of Olympic skiers. The mountain provides a skiing adventure for everyone, and a whole host of amenities that have built up to serve those who ski or visit. While winter is the primary focus of the ski resort, there are also a lot of things to keep you busy during the summer months. The Cable Car (known as The Tram by many) takes passengers from the 6200 foot base to High Camp at 8200 feet. There you will find a swimming pool, ice skating, and restaurant facilities with spectacular views. It’s also a great starting point for a hike. 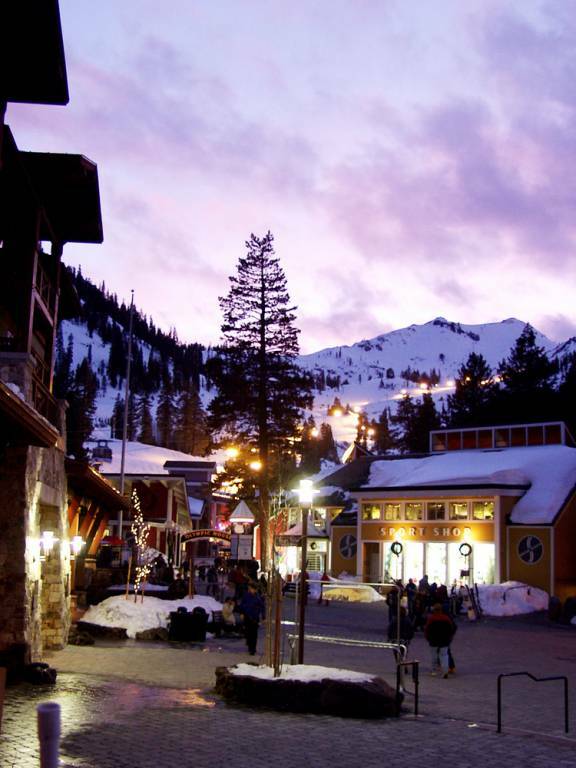 Back in the Village, which sits next to the ski area, you will find all sorts of lodging, and a variety of shopping and dining experiences. It’s expansive central courtyard serves as the venue for a steady stream of events including Earth Day, Ironman Lake Tahoe, the Tahoe Sierra Century and Wanderlust. At the other end of the valley, find the Resort at Squaw Creek, which is connected to the ski area via chairlift. This luxury hotel and conference center has six restaurants, shops, spa and a challenging 18 hole golf course. They also provide cross-country skiing and dog sledding. The Truckee River Bike Trail travels from Tahoe City along the Truckee River to the base of Squaw Valley. It passes by the Squaw Valley Park, which has a ball field, pickle-ball courts, and playground.